As promised, each of the books submitted to the book swap will be featured here on the blog so this is the first one. 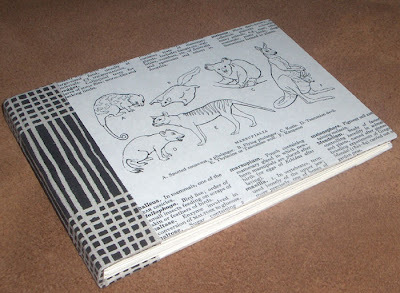 This book was made by Ali of Jellygnite.Etsy.com in Australia. 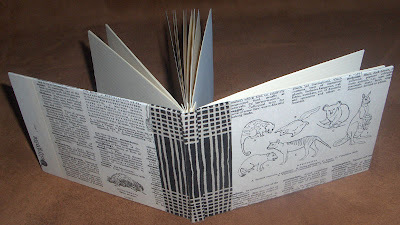 Ali included a little note with her book with this description: this book is made with an accordion binding and stitched signatures. 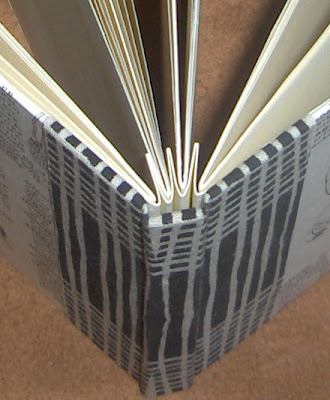 The cover is mat board with a fabric-covered spine. The paper on the cover is from an old Australian encyclopedia showing our unique animals - a little bit of Australia finding its way around the world! Visit Jellygnite.Etsy.com to see more of Ali's work.